Authorities have no idea why a woman and her husband tried to sneak into a California hospital maternity ward using fake, incredibly realistic babies, but they arrested the two of them for doing so anyway. Probably a good choice. Tonya Whitney Boehs is facing misdemeanor charges after prompting an abduction scare at Mercy Medical Center in Merced, California. They apparently tried to gain access to the maternity ward, not once, but twice. The first time, they attempted to get into the obstetrics unit, "doting on" their fake babies, changing the diapers and posing for photos. They were turned away by a guard who also took pictures of the two of them, which the hospital flagged. The couple, clutching a diaper bag and carryall, apparently tried again on Monday. Boehs allegedly wore hospital scrubs, according to ABC30.com, but she aroused suspicion because the outfit didn't match the hospital's uniform. They also got tripped up by claiming to have a non-existent appointment with an educator and presenting an outdated business card from the center's director. "I, in no way, tried impersonating a nurse," Whitney said. "I, in no way, ever thought or tried to steal a baby." Action News spoke with Whitney hours after being arrested. 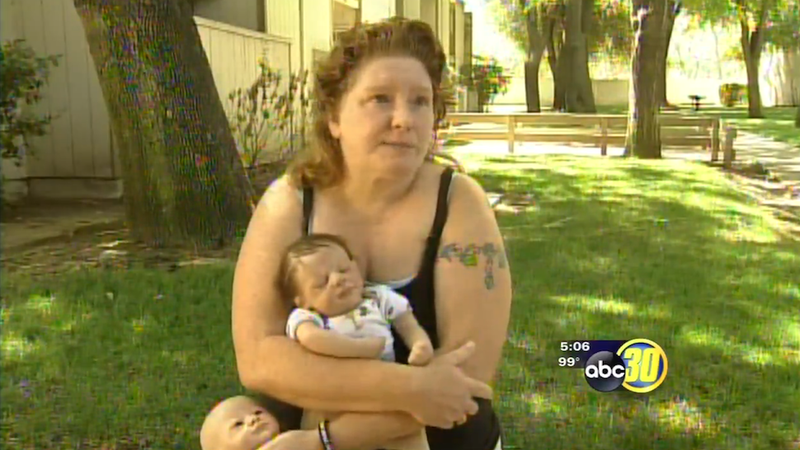 She says an ER nurse told her it'd be a good idea to show the dolls to the staff in the maternity ward. Obviously police are remaining cautious with Boehs, and she is still under investigation. I suppose if she really was massively and incredibly clueless as to what the proper channels were for pitching a product for the medical industry, the mixup might work in her favor PR-wise—those babies look mighty realistic. But for the time being, I'm just glad she's being vetted. This is all way too fishy. Ugh, I'm not looking forward to those baby dolls haunting my dreams tonight.